I am grateful to all of you for your profound support extended to my 2002 Audio Year Book. I believe my new 2004-2005 Audio Year Book will serve audiophiles, videophiles, and the related industries as a valuable reference information source. I did my best to include information(photos, specifications, features, and prices) of as many as the latest worldwide products available at the time of publishing. And I retained as many long time best sellers as I could for valuable reference. Rapid technology advancement has brought a big leap forward in sound and picture quality and attractive design. On this occasion, I would like to express my sincere gratitude for all the support provided by Juseong College in publishing this edition. Juseong College is the only education institute having Loudspeaker Curriculum in Korea. 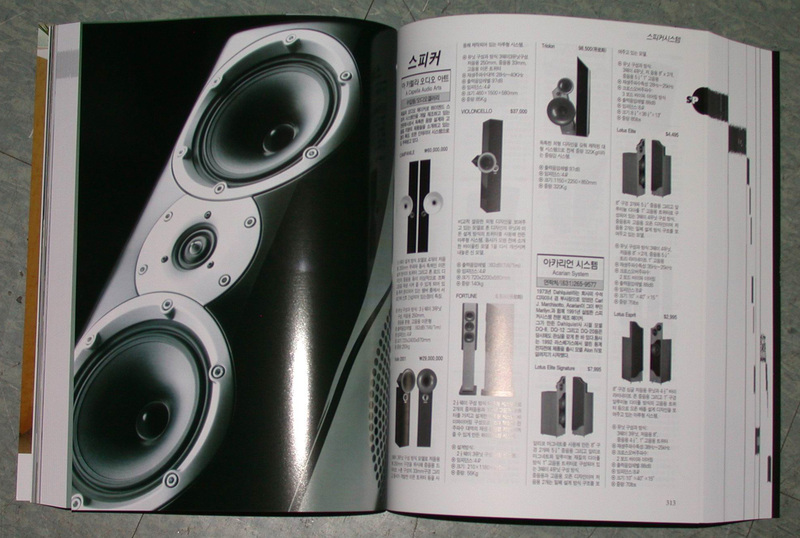 In this edition I included approximately 12,000 models of audio/video home theater system products with brief description of manufacturers, features, specifications, current domestic and overseas prices in countries of origin. 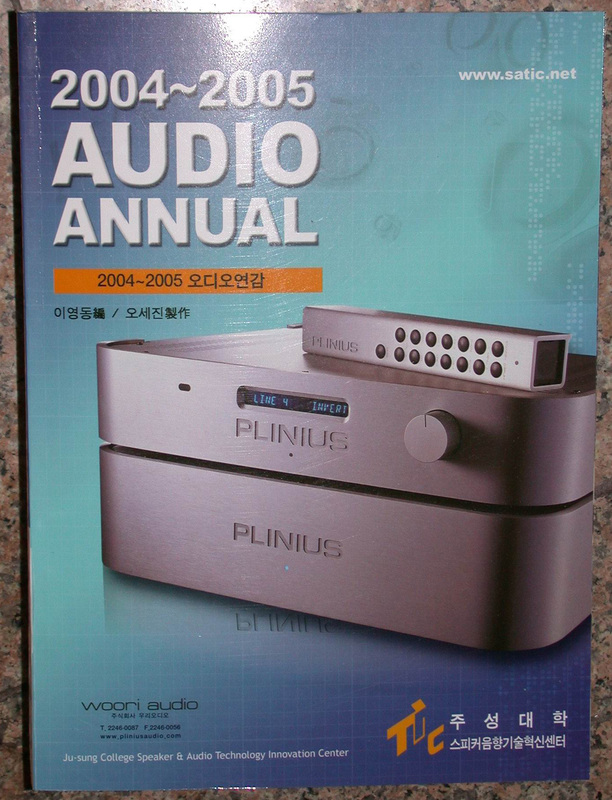 I also would like to thank all of those who contributed a lot in publishing this 2004-2005 Audio Year Book. 안녕 하십니까? 지난해에 발행된 밀레니엄 연감이 또다시 완전 매진되었습니다. 진심으로 감사의 마음을 다시 한번 드립니다. 2004~2005년도 연감은 이제 오디오 파일들은 물론 사업을 하시는 모든 관련 업체들에게는 중요한 자료로 좋은 반응을 얻고 있습니다. 특히 클로버 시대에 있어 전세계 오디오 신제품들을 한 권의 책자로 사진과 재원 그리고 가격 대에까지 가능한 모든 제품 정보를 알 수 있도록 꾸며 놓았습니다. 최근에 오디오시스템은 첨단 디지털 시대를 맞이해 급속도로 디자인으로부터 내부 회로 설계 그리고 음질 재생에 있어 많은 변화가 되고 있습니다. 이러한 변화는 2004~5년 연감에서 수많은 신제품들과 만날 수가 있습니다. 특히 금년 2004~5년도 연감은 우리 나라에서 최초로 유일한 음향학과를 두고 있는 주성대학의 적극적인 협력 하에 거듭 태어나게 되었습니다. 전세계 오디오 산업의 흐름을 이 책자 한 권으로 알아 볼 수 있도록 제품 정보지로 역할을 해줄 것으로 믿어 의심치 않습니다. "2004~2005년 오디오연감"에서는 신제품 소개와 기존의 인기 제품 그리고 베스트 롱런 제품들을 설명과 함께 실어 독자들의 참고가 될 수 있게 했습니다. 특히 금년부터는 더욱 홈 시어터 제품인 AV시스템에 많은 활에를 두고 편집했습니다. 약 1만2천 종류의 시스템을 분리해 제조회사의 간단한 소개와 함께 제품의 상세한 정보와 특징, 규격, 국내외 판매 가격 등을 실었습니다. 판매 가격을 좀더 정확히 알려드리기 위해 원화(￦) 가격을 위시해 유로화, 미화 달라($), 영국 파운드(￡), 독일 마르크(DM), 프랑스(F), 이태리(L), 덴마크(kr) 일본 엔화(￥) 등 여러 나라 화폐로 표시해 놓았습니다. 이 책자는 오디오시스템을 사랑하는 모든 사람들의 관심과 사랑에 의해 탄생된 정보지라고 믿어 의심치 않으며 그 동안 이 책자 발행을 위해 도움을 주신 모든 분들에게 다시 한번 감사의 마음을 드립니다.